Temporary Foreign Worker Program (TFWP) has gone through certain reforms which are intended to regulate the program, strengthen labor market assessment and ensure strong observance of the law. Workers who earn less than provincial median wage are regarded as ‘low-wage’ workers, whose contribution should only be ten percent or less of the total employer’s workforce. However, businesses exceeding this limit will be given time until July 2016 to get compliant. Those employers who have less than 10 workers are an exception to this rule. The TFWP is being rebuilt into two different programs namely TFWP and International Mobility Programs (IMP). 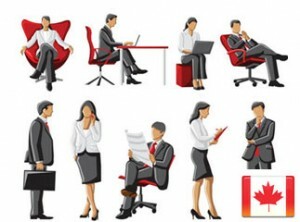 Foreign workers come to Canada for the jobs offered by the employers under different streams of TFWP after the approval through a new “labor market impact assessment” (LMIA). The IMP will comprise of those streams under which foreign nationals are not liable to LMIA. Wage levels will now substitute National Occupational Classification as the major standard for managing TFWP. LMIA will replace Labour Market Opinion (LMO) as the method of screening for employers willing to hire Canada Temporary Work Program. Employers having ten or more employees have to satisfy the requirement that the ‘low-wage’ workers should constitute maximum limit of ten percent. This limit will be put to use per worksite of an employer and depends on total number of hours worked at that worksite. Implementing this measure is likely to reduce the low-wage workers by 50 % in the coming three years. Applications for entry-level occupations, lowest-skill and lowest-wage in the fields of food services, retail trade and accommodation will be expelled from the TFWP in those areas where the rate of unemployment is six percent or even more. LMIAs intended for low-wage temporary foreign workers will be brought down from the existing two year time period to one year duration. The collective period during which low-wage temporary foreign workers will be authorized to reside in the country will be brought down for strengthening temporary nature of TFWP. Employers willing to employ high-wage temporary foreign workers have to submit the necessary transition plans to show how they will extend their efforts to employ the people of Canada, by means of investments in training, higher wages, and their hiring efforts inside Canada. The above changes have been executed to make sure that Temporary Foreign Worker Program of Canada will be capable of responding to labor market needs and at the same time ensures that the rights of foreign workers as well as Canadians are safeguarded.